Шаг 1 Перед первым прослушиванием, ознакомьтесь с тремя утверждениями и определите тематику новостей. Обратите внимание на то, чем отличаются эти утверждения. a) The Great Barrier Reef will die in the next few months. b) Sections of the Great Barrier Reef could die in the next few months. 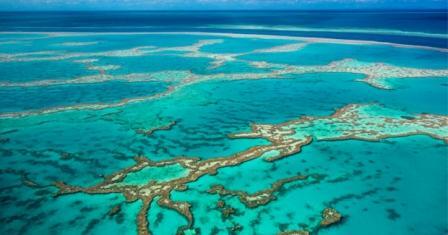 c) The Great Barrier Reef is being affected by a previously unknown effect. Now listen and decide which one is correct. e. g. She suffers from а severe allergy to oranges / a severe headache. e.g. He suffered a bad heart attack last year. NB! Работа с лексикой предполагает как устную отработку слов, так и приобретение орфографических навыков правописания слов в английском языке. Scientists in Australia are warning that large parts of the Great Barrier Reef could die within the next few months because it's suffering from one of its worst ever episodes of coral bleaching. This unique marine park is the world’s largest coral reef system which consists of over 2,900 individual reefs and 900 islands. It stretches over 3,000 kilometers and is located in the Coral Sea off the coast of Queensland, Australia. 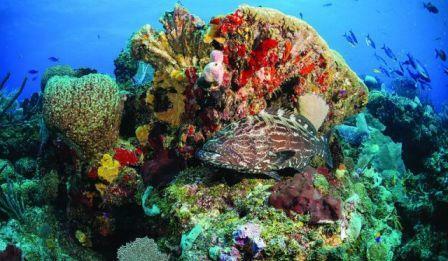 The reef is between 15 kilometres and 150 kilometres off shore and around 65 km wide in some parts. It is larger than the Great Wall of China. The Great Barrier Reef can be seen from outer space and is the world's biggest single structure made by living organisms. This reef is built by billions of tiny organisms known as coral polyps. 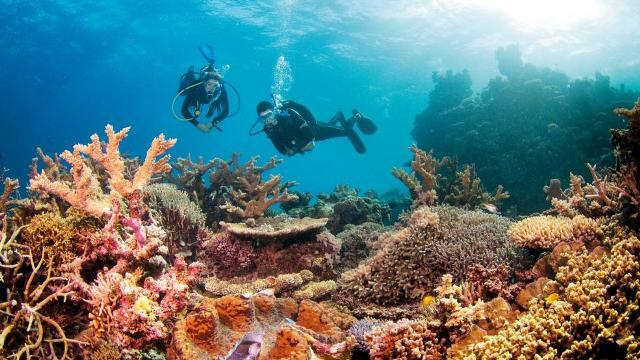 You can find here more than 400 different kinds of coral, impressive coral sponges, molluscs, rays, dolphins, over 1500 species of tropical fish, more than 200 types of birds, around 20 types of reptiles including sea turtles and giant clams over 120 years old. In 1981 it was selected as a World Heritage Site by UNESCO and was labelled as one of the seven natural wonders of the world. The Reef is home to a treasure trove of plants and animals, many of them as yet unknown to science. But all of this is at grave risk. The Reef is highly vulnerable. 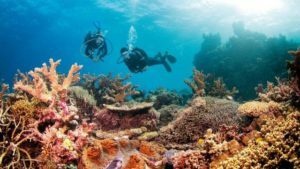 In the past three decades, it has lost half its coral cover, pollution has caused deadly starfish outbreaks, and global warming has produced horrific coral bleaching. Coastal development also looms as a major threat. Coral bleaching – is the result of global warming caused by the mining and burning of fossil fuel like coal. Global warming is heating our oceans and if the water stays too warm for too long, corals will bleach and die. Эта запись написана автором Елена Шрамкова, 22.11.2016 в 09:59, и размещена в категории Аудио уроки. Следите за ответами на эту запись с помощью RSS 2.0. Вы можете написать комментарий или разместить обратную ссылку на своем сайте.